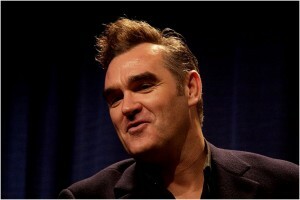 Channel 4 has paid out £10,000 to Morrissey for the unauthorised use of a Smiths song. The broadcaster failed to ask the singer's permission to use Please, Please, Please Let Me Get What I Want when promoting Gordon Ramsay's Christmas Cookalong Live in 2011. Morrissey has donated the money to the animal rights charity People for the Ethical Treatment of Animals (Peta), who will use it to buy advertising space for its new campaign criticising Fortnum & Mason for selling foie gras. In a typically strident quote, Morrissey said: "Ramsay may very well stick his head in his microwave when he hears that the money I received from Channel 4 because one of my songs used to promote his Christmas show is being donated to Peta to fight foie gras. Foie gras is so cruelly produced that he'd be against it if he had an ethical bone in his body." Peta's associate director, Mimi Bekhechi, added: "With this generous gift, Morrissey is literally putting his money where his mouth is and combating cruelty to animals."